According to U.S. Department of Energy 20 percent home’s energy is wasted because the home is under insulated and improperly air sealed. For builders, this can wreak havoc on productivity, resulting in call backs, jeopardizing code compliance, reducing HERS scores, and resulting in homes that are less energy efficient and comfortable for consumers. Insulation contractors play a significant role in ensuring proper installation of batt insulation. 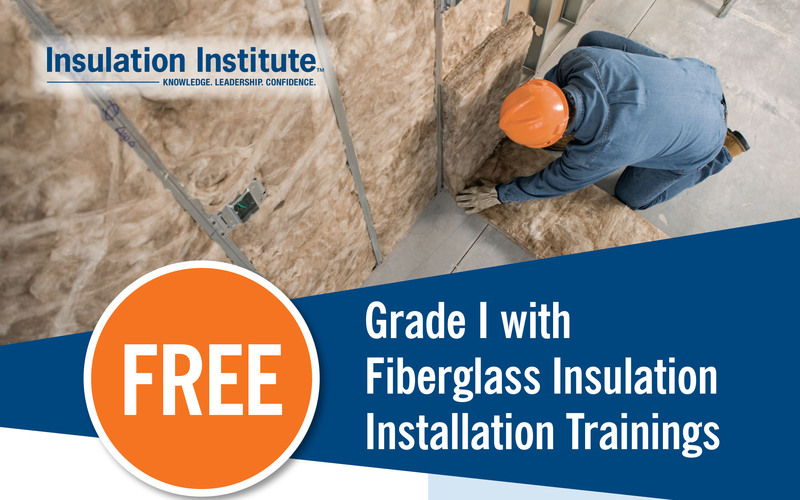 NAIMA’s Insulation Institute is offering FREE training to contractors in Texas, North Carolina, South Carolina and Georgia to demonstrate how contractors can consistently achieve RESNET Grade I installation. The sessions are an extension of similar, successful events conducted last year in several areas throughout the Southeast by Chuck Perry of Appalachian State University Energy Center and PerryBuilt Homes. Perry, who has more than 25 years of construction industry experience, will conduct training sessions in North and South Carolina. Lauren Westmoreland, Director of the Built Environment at the Southeast Energy Efficiency Alliance (SEEA), who is also a registered architect and HERS rater, will lead sessions in Georgia. Jason Vandever, who is the Energy Code Program Manager for the South-Central Partnership for Energy Efficiency as a Resource (SPEER) and an International Code Council Certified Building Code Official, will lead sessions in Texas. Our trainers are currently reaching out to contractors to schedule events, and more opportunities may be offered in other regions throughout the country in the future. If you’d like more information or to be added to our contact list, e-mail Stacy Fitzgerald-Redd at sfitzgerald-redd@naima.org. A limited number of trainings are available, to schedule contact Janet Miller, millerjm1@appstate.edu.